WOW! I can’t believe it’s over a decade since the last Diablo game came out, but we finally have a release date on Diablo III which is *Drumroll* May 15th!! Two days before my Birthday! *hint hint* Preorders are open now and you can choose either a digital or physical version. Diablo II was the most popular game of 2000 and it has been predicted that Diablo 3 will sell 5 million copies this year. 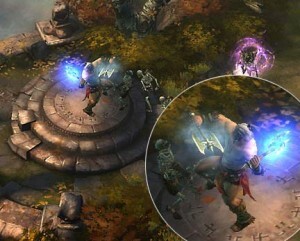 Diablo is a Dark Fantasy gaming series with many aspects of horror, lots of undead, and Demons playing a major role. It’s the ultimate dungeon dive descending into the depth of hell itself, and the ultimate monster mash with literally hoards of monsters going after your character (you’ll be racing for those choke points)! The original Diablo was praised for its quests and replayability, because elements were randomized you got a different gameplay experience every time. There is going to be random levle and encounter generators as well as an enhanced quest system to preserve this aspect in Diablo III. The story follows on from Diablo 2: the heroes (from the previous game) have been corrupted and are running riot! This is similar to how the Unnamed Hero came back in a possessed form for Diablo 2. Diablo III will be both single & multiplayer and it has been announced that a PvP mode will be realeased later in a Patch. There will be more character classes: the Barbarian, the Wizard, the Monk, the Witch Doctor and the Demon Hunter. It will also have its own 3D engine which is supposed to allow monsters to ‘climb up from the depths’ and destructable scenery. Runes have been changed so that rather than charging items they can be used to modify skills and make them more powerful. Diablo is made by Blizzard the same studio behind World of Warcraft, and WOW players can get the game free if they purchase a years subscription. 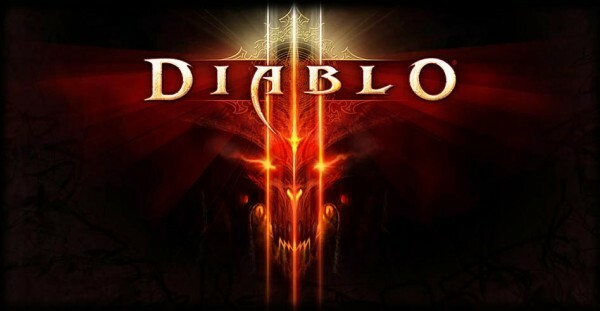 I am slightly worried that this new Diablo might be a bit too similar to World of Warcraft, however Blizzard is a very respectable gaming company that has produced many other great games, so my fears are probably unfounded. What I have heard so far suggests that they have stuck to the spirit of the original. The announced release for Diablo III is for the PC version only and there is no release date for a Console version as yet, however Blizzard has said that one is in development. This is huge news for console gamers because usually Blizzard does not make games for console. The original Diablo game was released for the PlayStation 2 years after the PC version, but of course that was in the 1990’s. 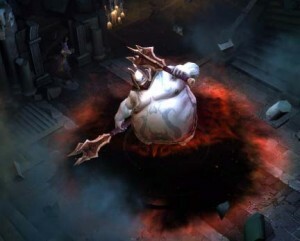 Should we expect a similar timescale for Diablo III? I actually played the original Diablo on (my sisters) Playstation. Personally I think it is better to design a game for the PC then adapt it for console than it is to do it the other way around. I’ve played both and I find most console-based games are more about button-mashing whereas PC-based games are more tactical. (Just my opinion). Anyhow it’s looking like a good year for Computer-based Fantasy Role-Play! Excited? You betcha!